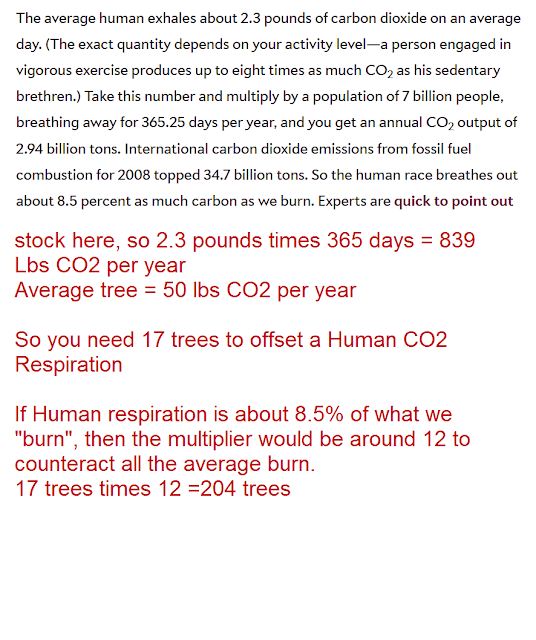 Nuke Pro: How Many Trees Needed to Offset the CO2 From 1 Human In A Year? 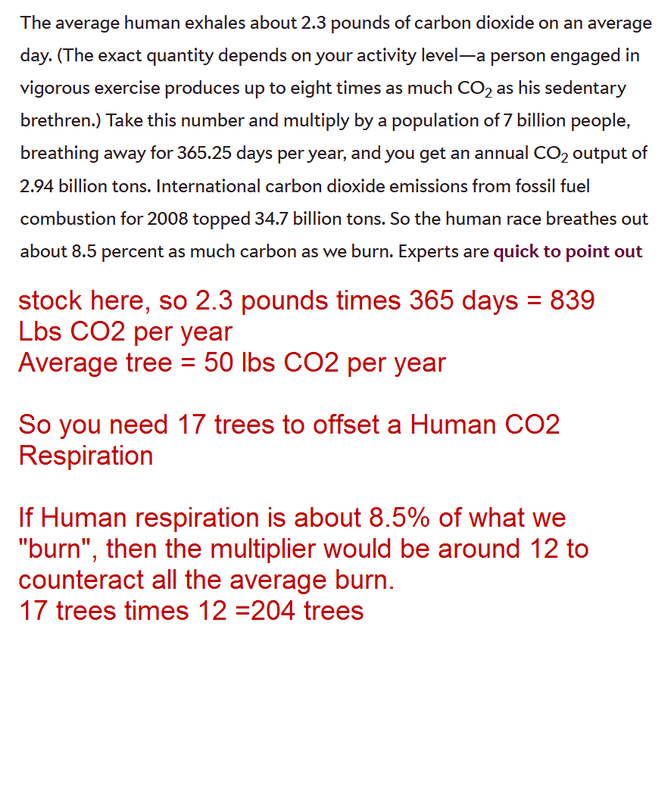 How Many Trees Needed to Offset the CO2 From 1 Human In A Year? A commentator at BIN suggested that Industrial Hemp grows even faster than trees. 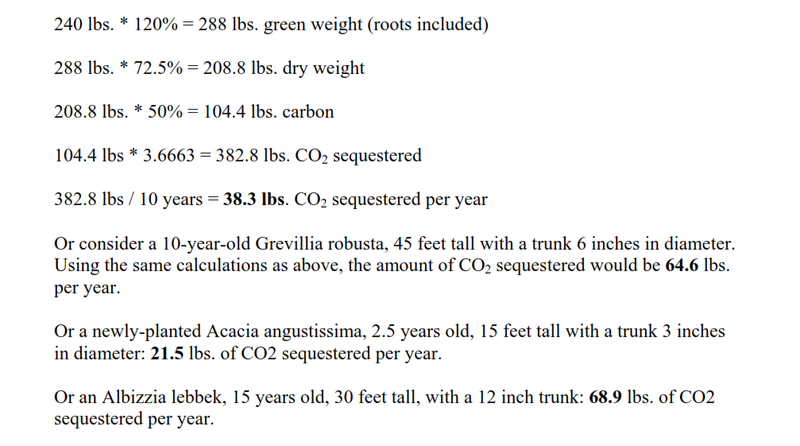 It is hard to compare a tree to a Hemp plant, but looks like the analysis could be done on a per acre basis. But it's not quite the same because of the "farming" equation. 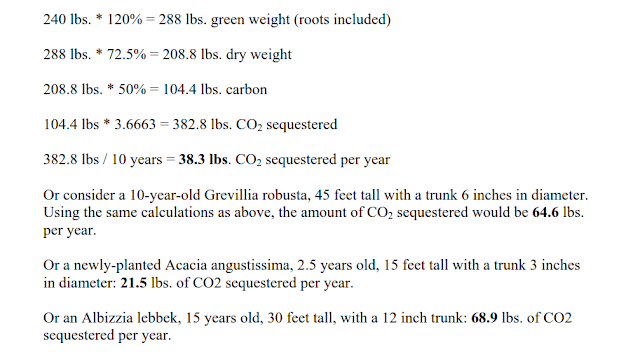 Trees will pretty much grow on their own. Hemp would like be farmed and thus need at least fertilizer inputs, thus changing its product amount quite a bit but requiring much more input. Initial review though looks like Hemp, as a fast growing product that can be grown in high density, is a superior sequesteror.